Michelle, I was a supporter of Scott Smth. I felt as former Charter School Board Chair, he was the best chance to actually achieve the goals you & I agree on to an extent. Now that you won the primary, your my horse in this race. Having said that, I’m concerned about the road ahead for you in what you claimed/promised, (at least from a position standpoint) at the southern Utah debate. I believe that the UEA is a cockroach organization & will do anything to stack the deck in their recent lawsuit against the currant school board. All the conservatives have lost their primaries to the UEA line toting comrades. I’d like to have a conversation sometime in your pursuit for election. My Cell number is 435-229-8575. My name is Dee. The UEA is behind Wes as their go along to get along guy. 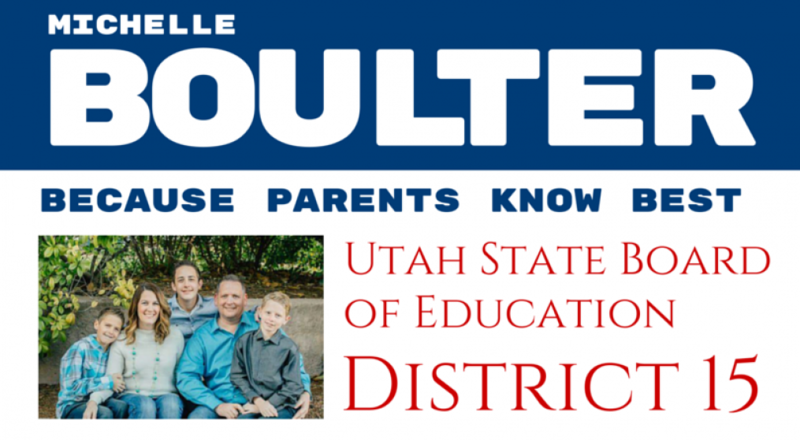 If he gets elected, they’ve swept & utah education will be set back to the Utah education mafia. They target anyone who opposes them for political assignation.